One local man who died at the Somme on the first day was Private Arnold Robinson. 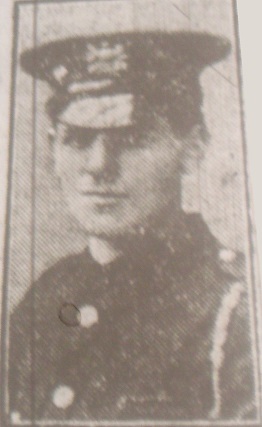 Private Arnold Robinson was killed in action on the 1st July 1916 aged 26. His family came to hear about his death in the the most upsetting way, as this obituary in the Northwich Guardian describes. Although no official communication has been received by his parents up to the present. I appears that a fellow-clark in the same regiment mentions in a letter, which arrived from the Front a few days ago , that Arnold Robinson had been killed in action. Private Robinison, who is 27 years of age , had for some years been on the Clerical staff of Messrs Brunner, Mond and Co. at Winnington, and was one of the first batch of clerks to respond to Lord Kitchener’s appeal for recruits within a few weeks of ware being declared. His father is a foreman shunter on the Cheshire Lines Railway at Greenbank Station. He is commemorated on the War Memorial in Weaverham, and also in the Memorial at Brunner Mond, Winnington, near Northwich – where he worked. The memorial includes him in the list of casualties in the Manchester Regiment. ROBINSON, Private, A, 6427, 16th Bn., Manchester Regiment. 1 July 1916. Grave Ref. II. Q. 3. Private Robinson was a in the 16th Manchester Regiment, one Lord Kitchener’s “Pals” brigades. The “Pals” were battalions of men who had enlisted together in local recruiting drives, with the promise that they would be able to serve alongside their friends, neighbours and colleagues (“pals”). 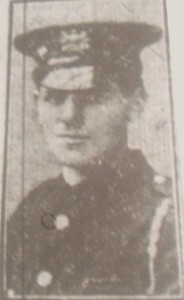 It is clear from the Northwich Guardian obituary, and from the list of dead on the Brunner Mond memorial, that the Pals had been recruited heavily from groups of workers at Brunner Mond. The 16th Battalion, Manchester Regiment became part of the 90th Brigade, 30th Division. After moving to Amiens in France on the 6th of November 1915, on the 1st July 1916 they fought in the Battle of the Somme, in which they seized and occupied Montauban. Left Assembly trenches 8-30 am in formation as previously practised. Moved up as close as possible to our artillery barrage and halted about 9-20 am. Maintained communications with the 17th Manchester Regt. on our right, but were under heavy machine gun and rifle fire from our left rear, being unsupported by troops on our left. At 9-55 am on the artillery barrage lifting, no supporting troops still appearing on the left and the hostel machine-gun fire still being very severe, the advance could not be continued. At 10-5 am, on the appearance of leading troops attacking on our left, continued the advance and without the check passed through MONTAUBAN and seized and occupied MONTAUBAN ALLEY at 10-30 am and immediately proceeded to consolidate as follows:- A., B., and C. companies MONTAUBAN ALLEY; D. Company edge of village also keeps F. And D., and established H.Q. in Valley trench immediately S. Of D. Keep. About 9-30 pm enemy attacked against our front and left, S.O.S. sent, barrage placed on our right front (a few shells too short), attack held up by M.G. and rifle fire, and eventually withdrawn under cover of darkness. During night 1st/2nd continual bombardment from E. and N. with heavy shells. At 3-30 am on the 2nd enemy counter attacked along the whole front, S.O.S. sent, but no reply for 15 minutes: brought to a standstill on along the front at 250 yds distance. Number of attacking troops estimated at two battalions: front attacked about 800 yds. Enemy entered MONTAUBAN ALLEY on our right and a bombing encounter ensued with our right flank. Asked O.C. MONTAUBAN for support and one company immediately placed at my disposal, and to platoons sent up to reinforce. About 5 am Headquarters and two leading companies 2nd Wilts arrived to relieve. The enemy counter-attack having been withdrawn about 4 a.m. having suffered heavily from M.G. L.G. and rifle fire, but their bombing party left in our trenches. Relief commenced about 8 am and battalion withdrawn by 1-30 pm. Captured two guns and 16th Manchester Regt written on them, also names of men who captured them – and about 100 prisoners. Commanding 16th (S) Bn. Manchester Regiment.